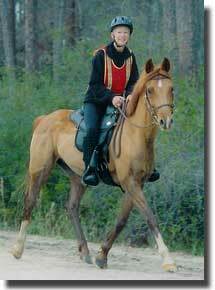 Impresario is one of the most outstanding geldings we have had the opportunity to raise. 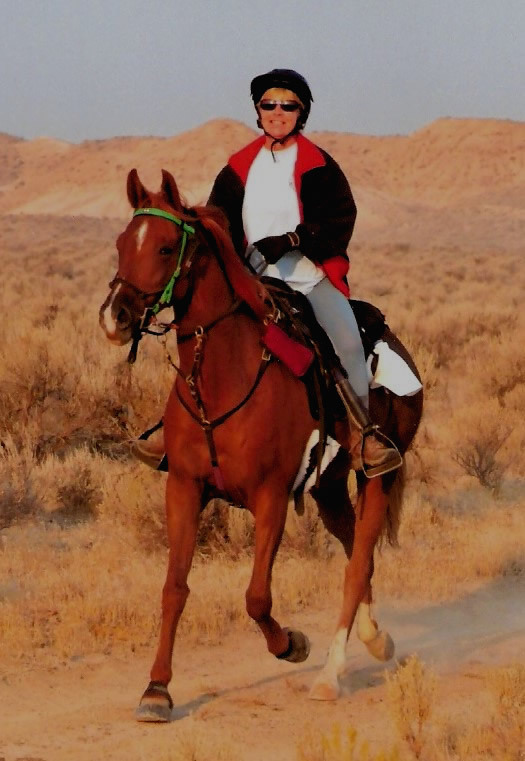 His National Pioneer Award is a testament to Cheryl’s wonderful abilities as a rider. Congratulations on your outstanding record to date. 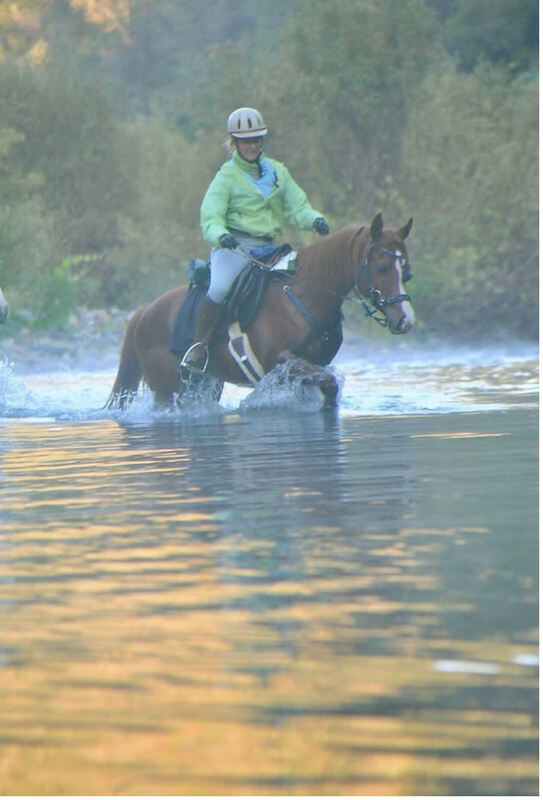 "My decision to purchase Fantizon as a yearling from Belesemo Arabians was far from rational as I was seeking an older horse and definitely not a stallion. But Fantizon has more than validated my emotional decision. Part of the reason Fantizon does so well is he takes care of himself on the rides. He eats, drinks, rests when necessary and doesn't burn excess energy. 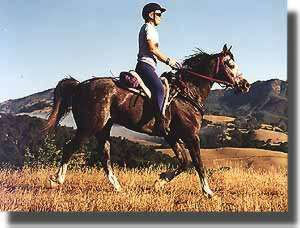 He has the energy to go down the trail and he is such a gentleman as a stallion - a marvelous disposition. 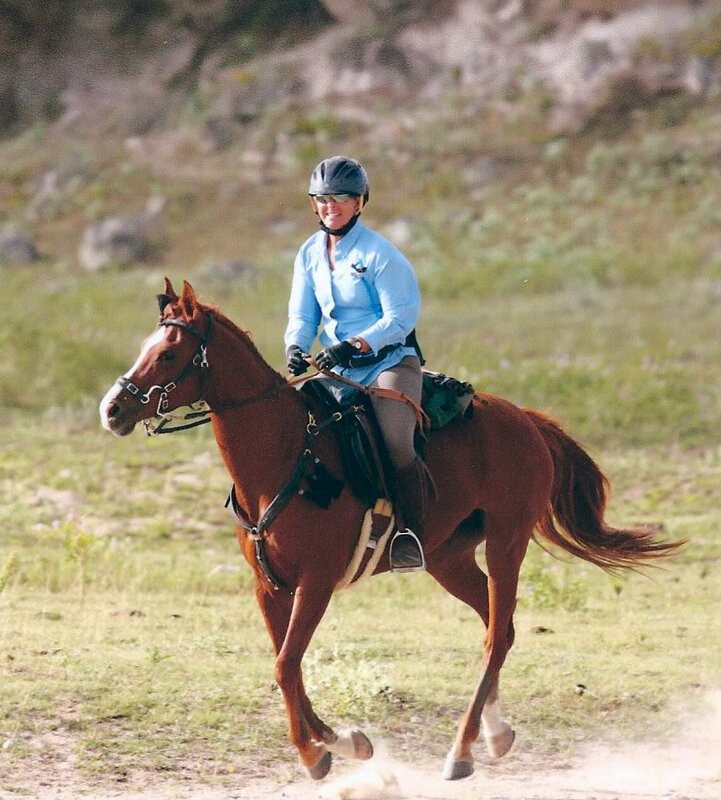 Khandy is an endurance dream horse, well on her way to establishing new records, says owner Carey Brock. 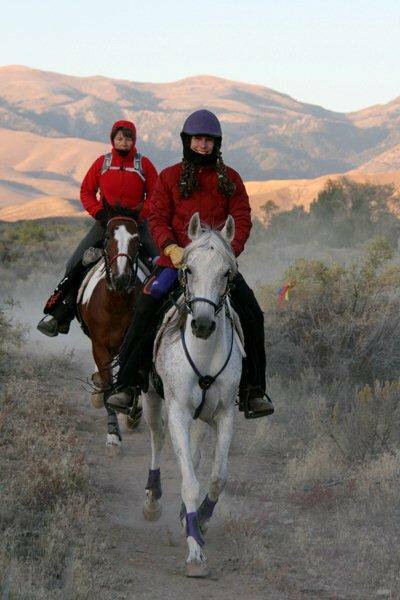 Finalia and Flora won the AHA 50 Mile Championship Ride last year and have continued racking up the miles this year. 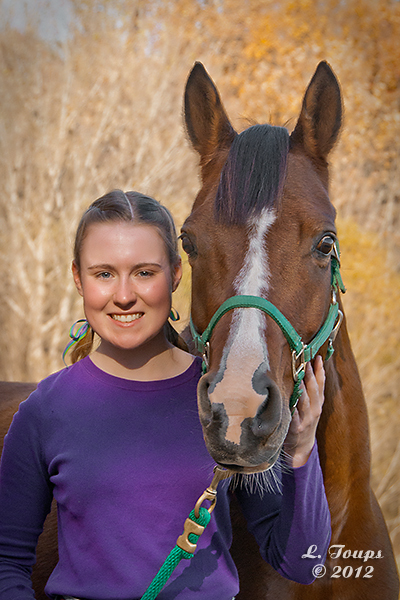 Flora is off to college this fall and we are excited to report that because of her endurance career she was the 2015 Arabian Horse Foundation Scholarship recipient among other scholarships. Flora plans on attending Lewis & Clark College and studying for a nursing career. 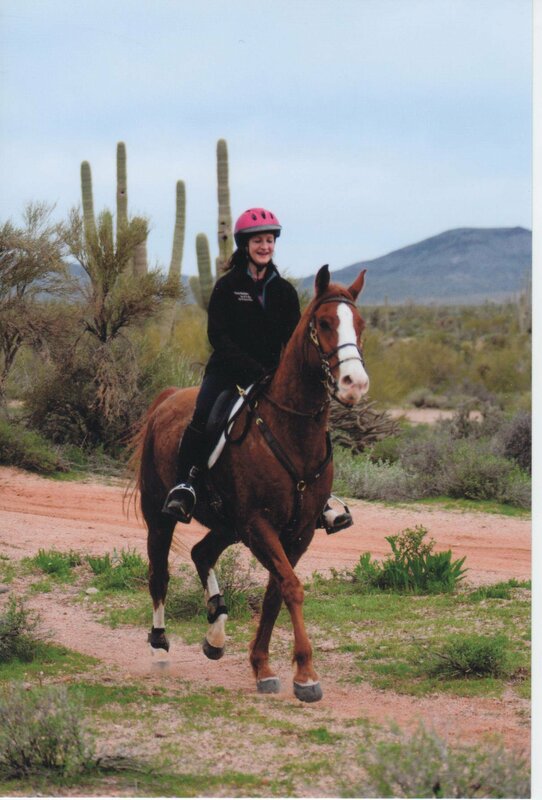 We so appreciate her taking Finalia down the trail for us the past 3 years. 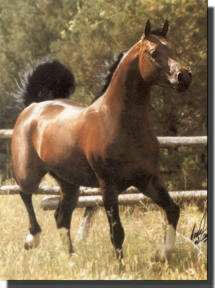 Finalia will now come back to the broodmare band at Belesemo Arabians as the last daughter of Belesemo Trad. Watch for her foals in the future. 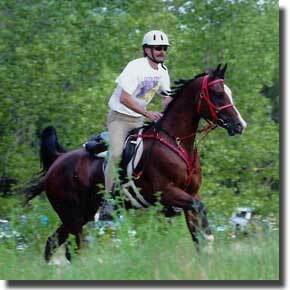 "Tradition is nearly perfect as an endurance horse. He's steady, dependable & goes any speed requested. He eats anything, drinks anywhere and looks good at the end. 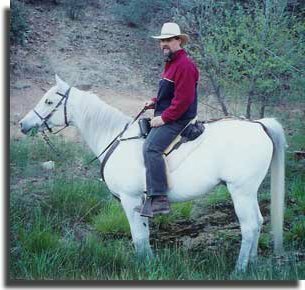 He is one fantastic gelding!" 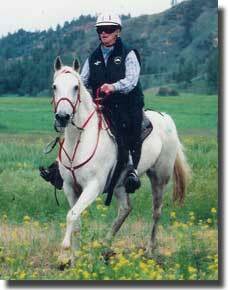 Only horse in Tevis 2000 Top Ten with over 3000 miles and 97% completions. 5,435 competition miles. 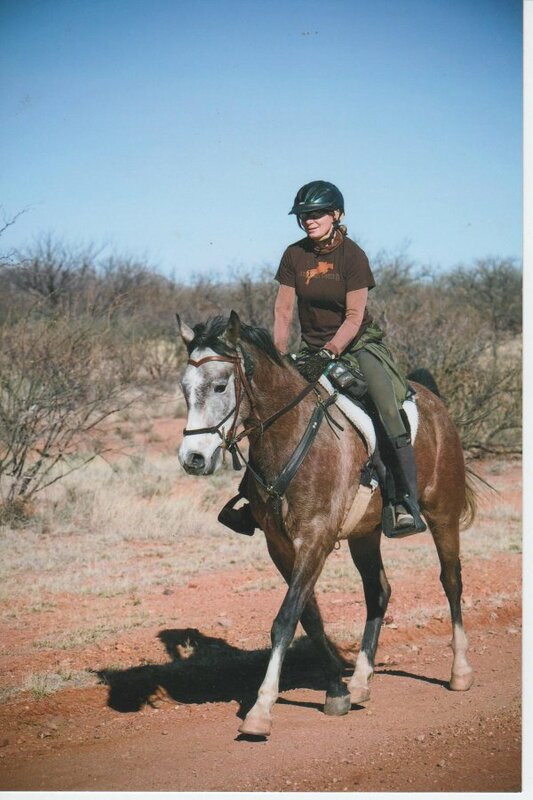 Bred by Hexagon Horseshoe Ranch and Sold by Belesemo Arabians, is an RD Arizon grandson, owned and ridden by Tamara Baysinger. 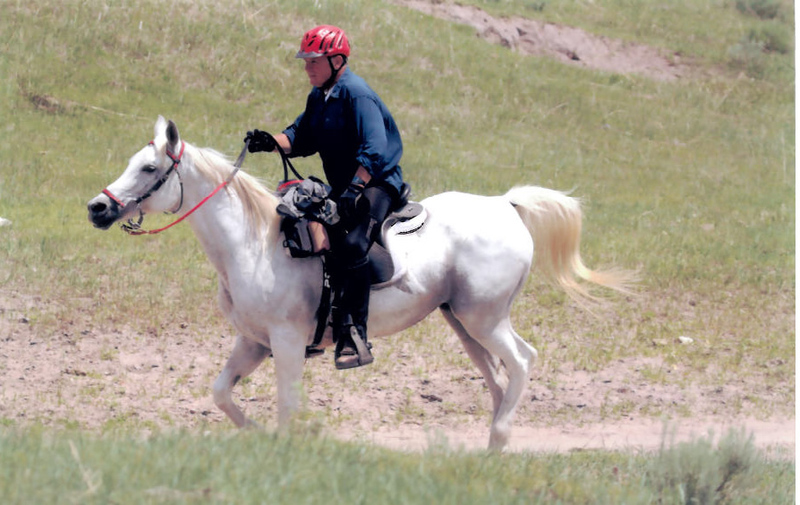 Jammer also reached a 1000 miles in addition to completing his first 100 mile ride at Sun River and a Best Condition this summer. 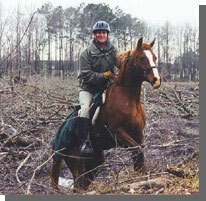 This wonderful gelding has a fantastic story beginning with his breeders James & Gini Agnew of South Carolina. 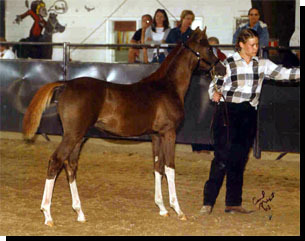 They acquired his sire, Belesemo Chance (Belesemo Trad x Sunrise Feylene) as a baby from Belesemo Arabians, when they were willing to take a chance on him as a stallion prospect after he was stepped on at the age of 3 days and survived a broken leg plated with steel and screws. 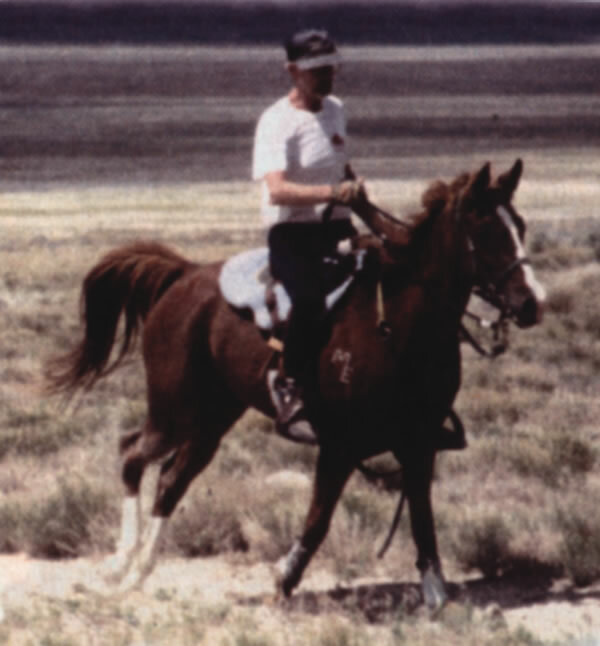 James & Gini bred Chance to their mares which produced Chance of Freedom and started Chance on his great endurance career. 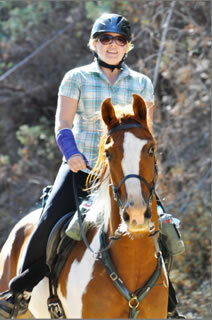 He was ridden to his National Champion Junior LD win by 10 yr. old Lily Turaski. What a wonderful accomplishment. This outstanding young mare is a 3rd generation example of Belesemo breeding and has been taken to the top by her great rider/owner. We salute them for their wonderful placing's this past year and look forward to reporting many additional miles for them. 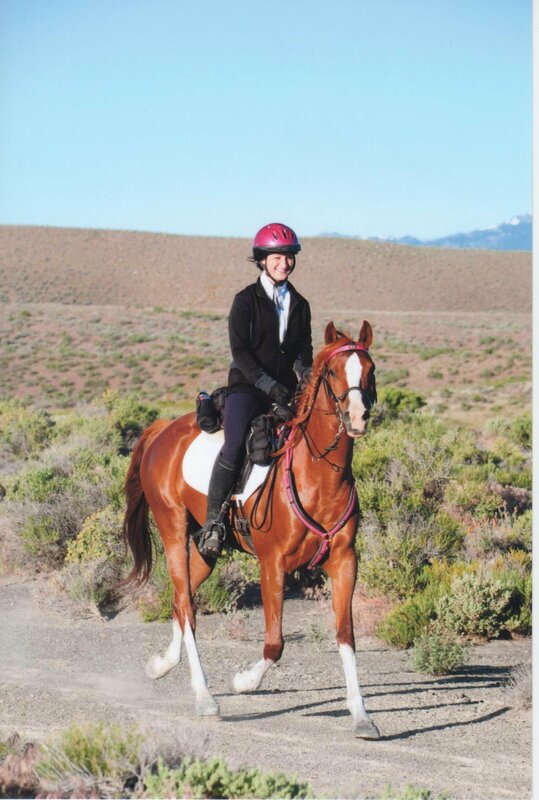 Our thanks to first Jim & Vicci Archer and now Amanda Washington for taking Replika to her outstanding ride completions for us in just her second year out on the trail. We are looking forward to seeing even more of Amanda and Replika in the future. Watch for them in the NW region. 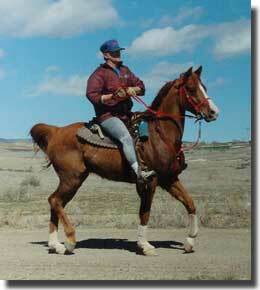 This wonderful pinto colored gelding is a heavyweight horse supreme. 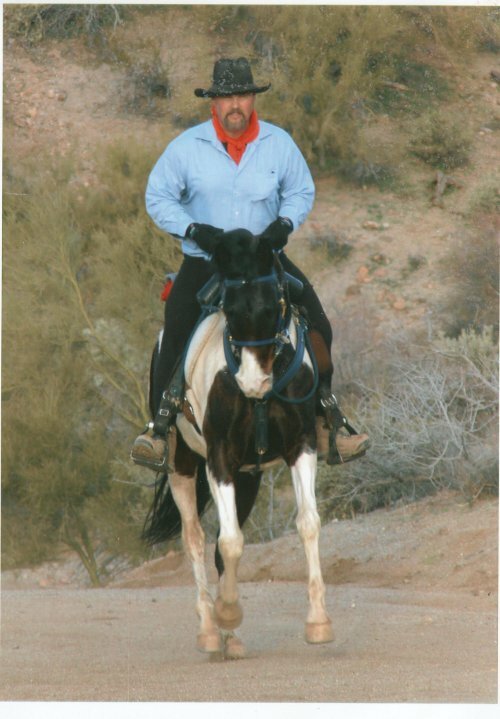 He has been masterfully guided to his mileage and great ride completions by his super owners. We look forward to more of him on the trail in the future. 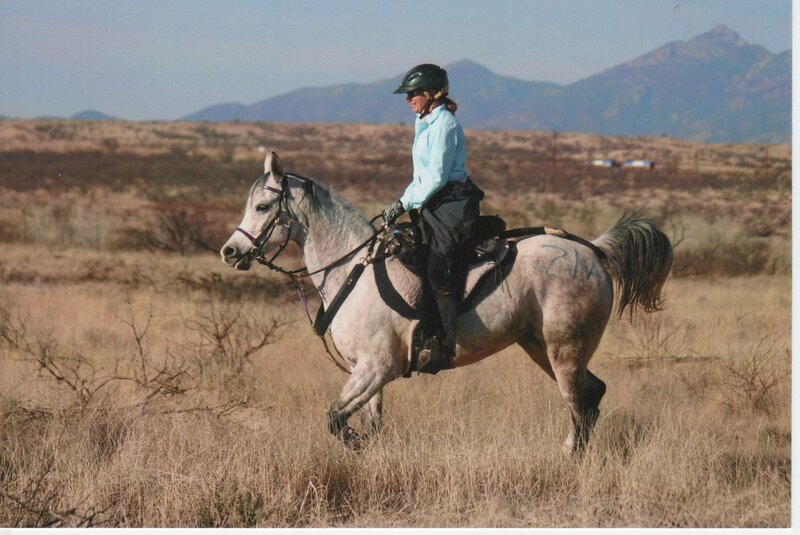 This fabulous mare is well on her way to becoming the top endurance horse she was bred to be. 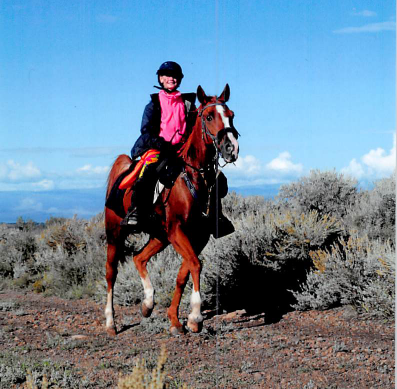 With a 2010 and 2011 Tevis Cup Completions, she is proving her blood lines. 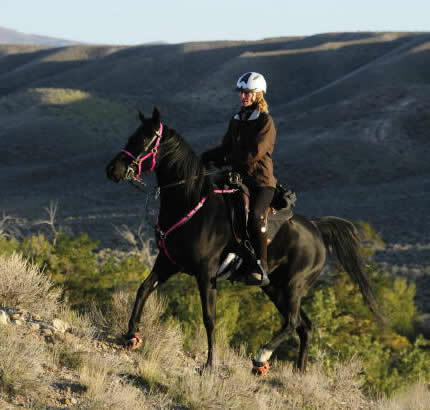 Her rides have included Rushcreek Reunion Ride, Tevis Cup, and Moab. 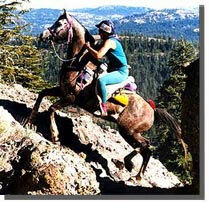 Her ride records includes 10 top ten finishes, including several 1st and BC awards. 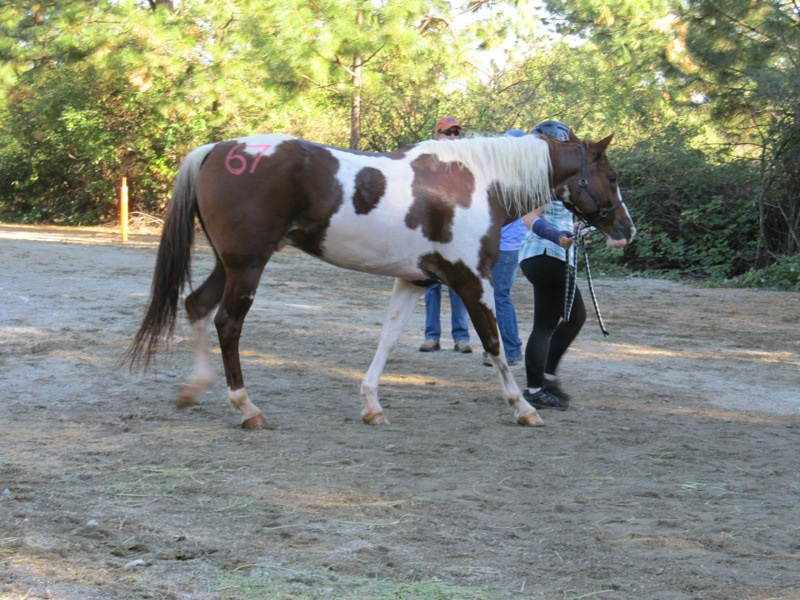 This young, colorful part-bred gelding is just beginning his endurance career and is a wonderful product of his bloodlines. Congratulations to the Stalley family for producing him. We expect to see great things from him in the future. 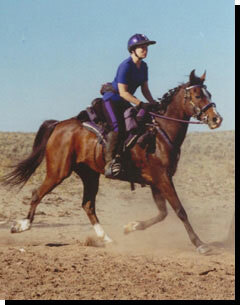 A fabulous gelding with a legendary career. Bolero is the epitome of our breeding program. 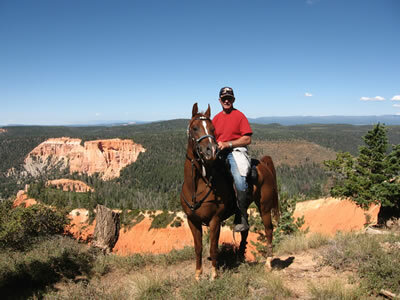 His rides have included Color country, Hell's Kitchen, Grand Canyon Pioneer, Quichapa lake, XP Ft Schelllbourne, Scipio Trails, among others. 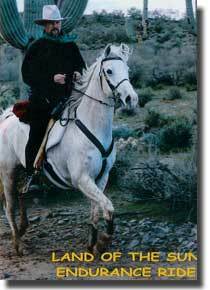 A great gelding made in the image of his Abu Farwa bloodlines, Legend has proven his longevity on the trail. 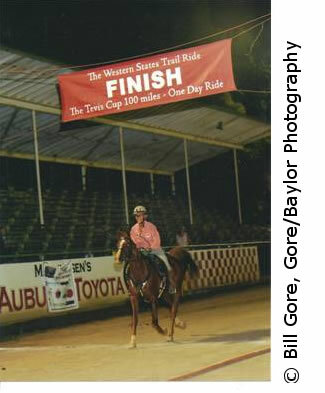 Congratulations to his owner/rider Lyle Capps for his outstanding record. 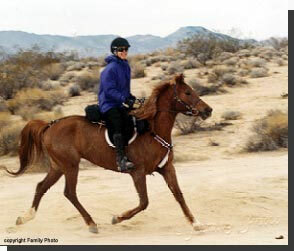 This one of a kind gelding was bred by Kismet Arabians. 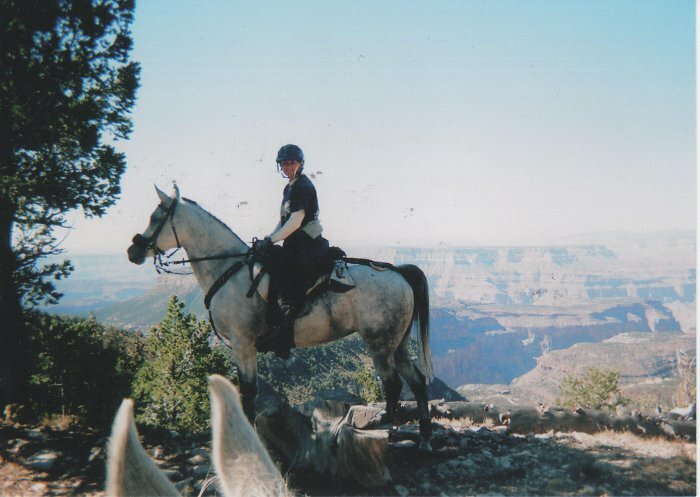 Ridden by a heavyweight, Dancer has compiled an amazing record. for his great rides. 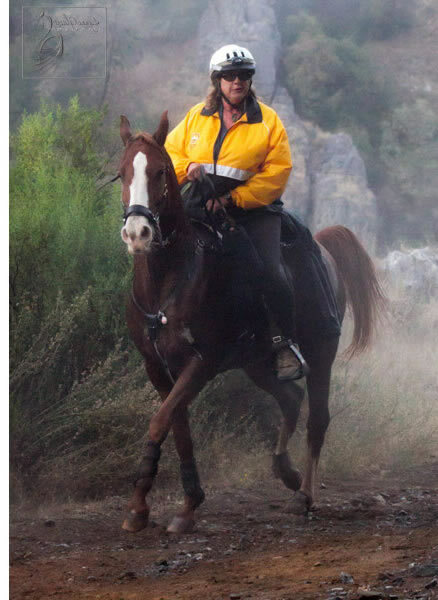 We expect to see more of them out on the trail. competitor out on the trail. With his power, size and breeding we expect great things from him in the future. 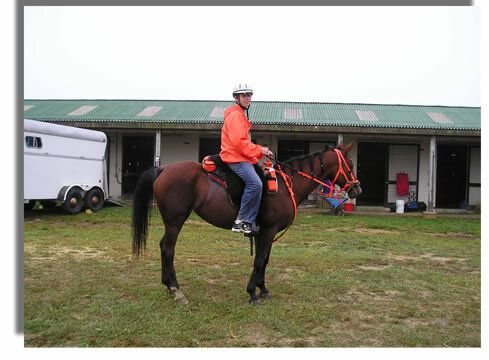 This royally bred mare is beginning to make a name for herself in the endurance community. 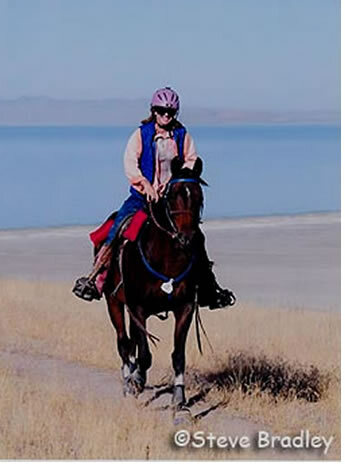 Competing in the 2000 mile cross country XP Pony Express race, she completed 600 miles. We expect to hear great things from her in the future. "Martika has proven to be awesome. We weighed in at 233 lbs. for Best Condition. 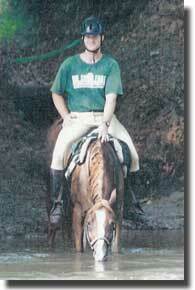 Thanks for such a great horse. Martika is everything we thought she could be. A real winner." 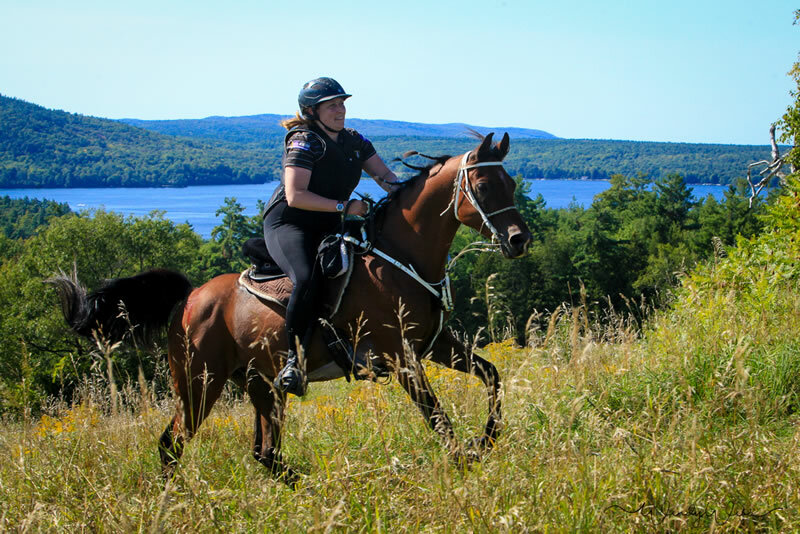 This fabulous young mare is both a paternal and maternal sister to National and Regional AERC champions. 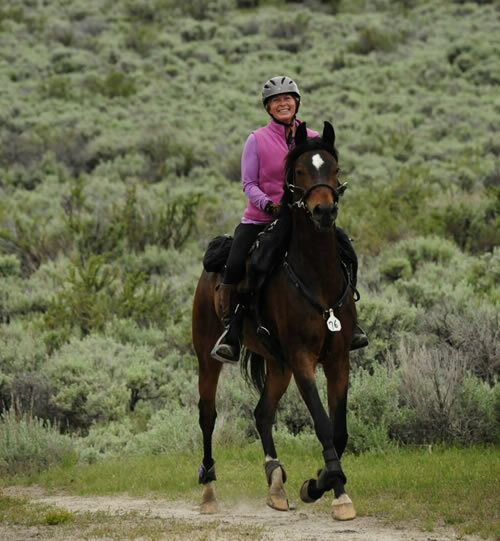 She is following in the footsteps of her siblings and we expect to see a lot more of her and Tandi out on the trail in the future. Watch for them at the rides. 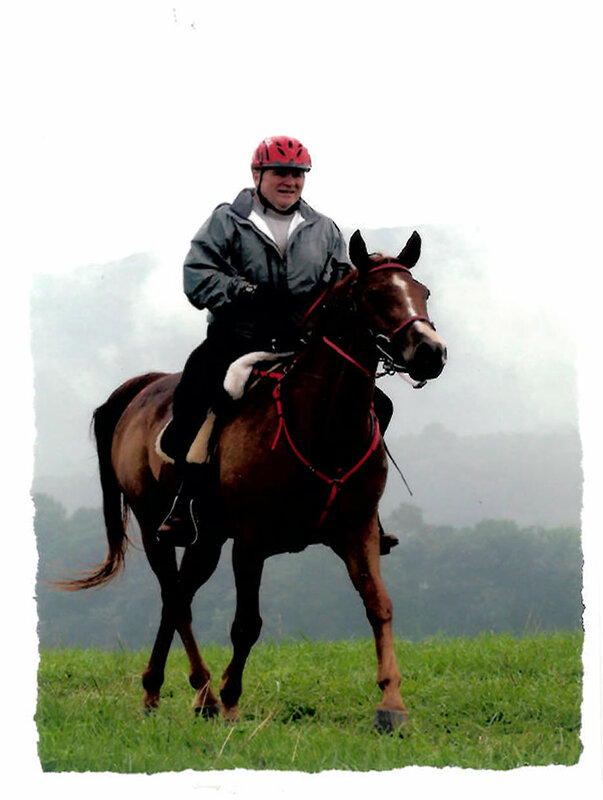 "She had only just begun"
Our sympathies are extended to her owner Louise Mahoney, on the loss of this great, young mare. 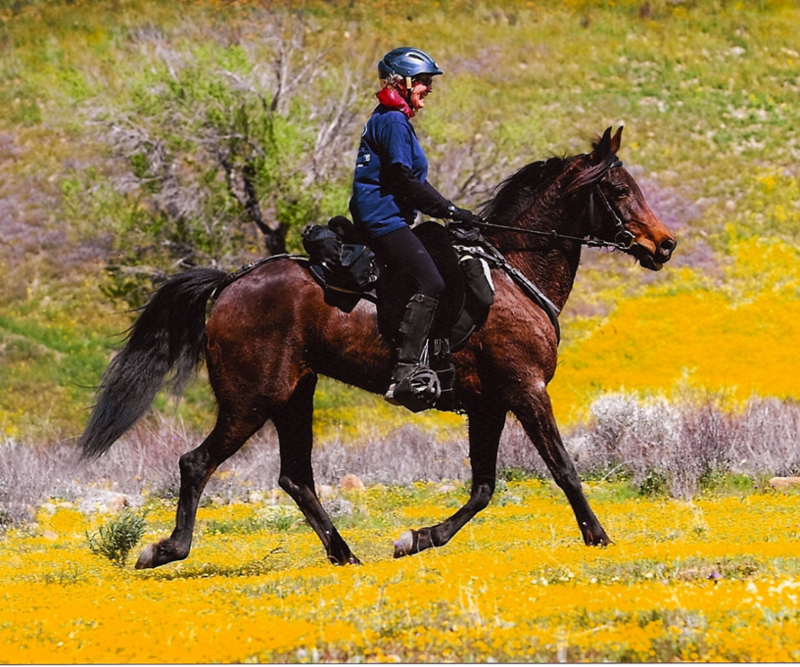 Watch for this outstanding gelding on the trail. I guarantee you'll see more of him. 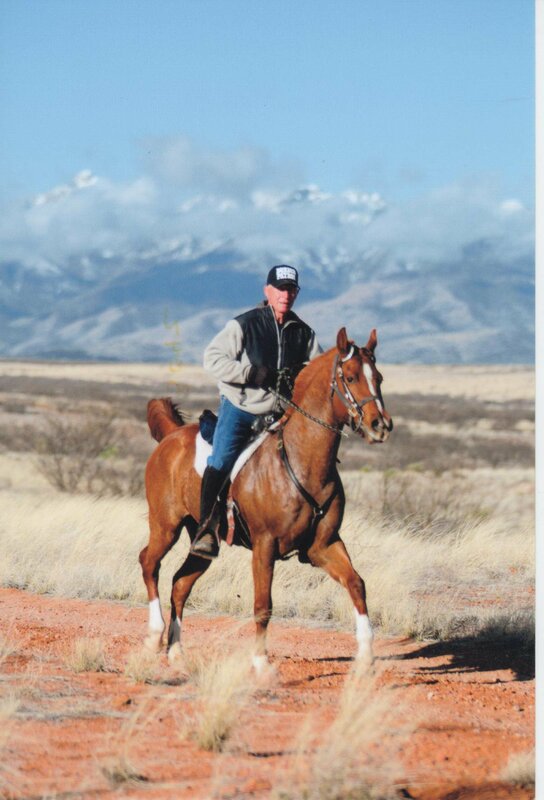 This outstanding gelding is one to watch for on the trail as he joins forces with Pioneer Award winner Corey Clinton. 8th - National Pioneer Award - Fthwt. 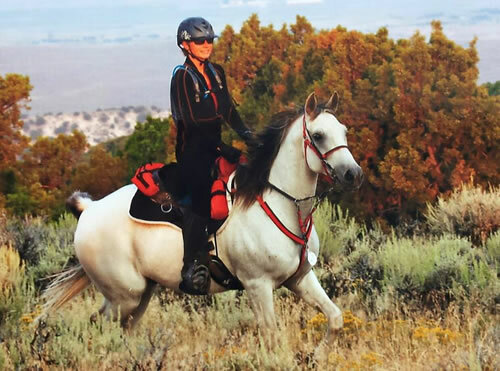 Our thanks to Cheryl Johnson of Prescott, Arizona, for taking this outstanding mare to 10 rides with 10 ride completions for Belesemo Arabians. 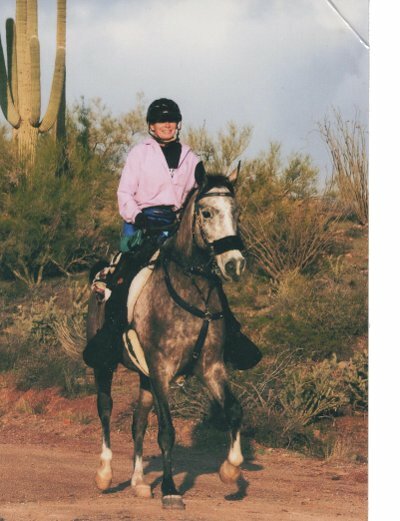 Arizona shows the versatility of the Belesemo Arabians by competing in several down through the years prior to her trail career. 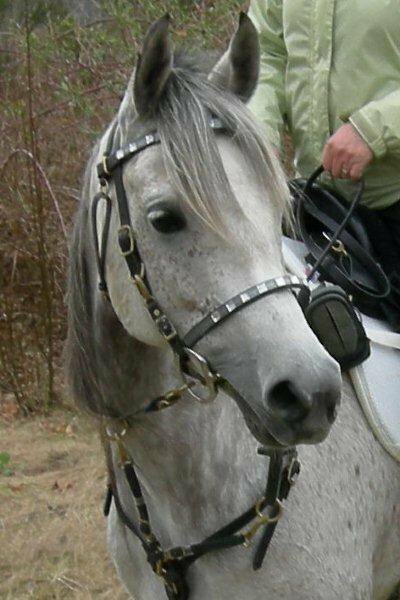 She is undefeated in Most Classic Head Classes and has numerous top placing's at halter. 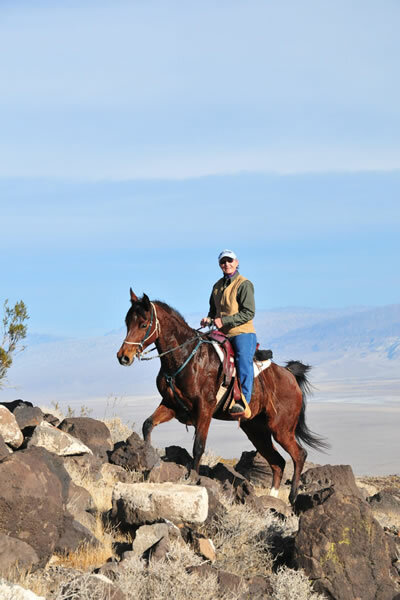 Arizona is now back home in the Belesemo broodmare band passing on her great characteristics to the next generations. River Run Elevator Ride - Comp. Gator Run Pioneer - Comp. Million Pines Classic - Comp. 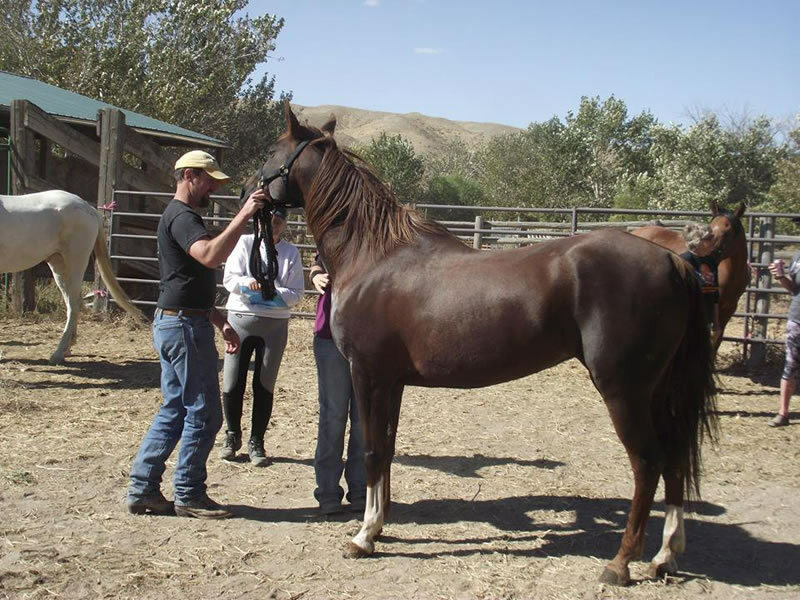 A wonderful representative of our breeding program this large, fantastic gelding is becoming a familiar sight in the Midwest. 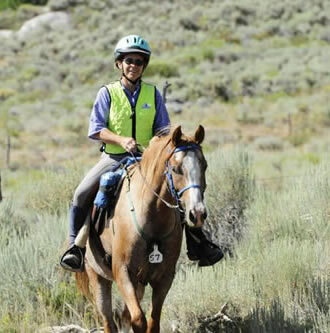 Placing 1st and 2nd in some of his rides we predict you will see much more of this flashy bay out on the trail. 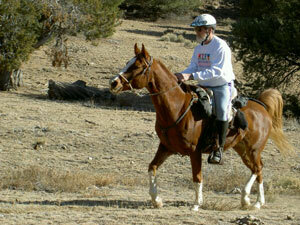 Tusocs is an outstanding gelding that has completed 1220 competitive miles on the endurance trail.